Play as Super Saya-jin X3: To play as Super Saya-jin X3, finish the game with Gokou on any level. Then play a second game, defeating the first foe but intentionally losing to the second. Choose Gokou again to continue the game. He has been transformed into Super Saya-jin X3! Unlock 5 Additional Characters: press UP, Triangle, DOWN, X, LEFT, L1, RIGHT, R1 at the title screen. If entered correctly, the title should read: “Dragon Ball Z: Ultimate Battle 27”! Side Step Dodge: When an enemy uses a large attack at close range just hold R1 and press down, doesn't matter what side you are on you will quickly move to the Right and Completly doge the attack, and this also leaves the Oppenent open. Alternate Costumes: To wear alternate costumes, go to Training Mode or 2P Mode and simultaneously push SQUARE, X, CIRCLE while selecting a character. Extra fighters: At the title screen, press Right, Left, Down, Up, Right, Left, Down, Up. You should hear a sound to confirm the code. Now start the game and you should have six more fighters. Play as Bebi Vagita (the Final Boss): To play as Super Bebi, hold Select and press Square at the character select screen, and hold until the match begins. When the match starts, you should be playing as Super Bebi. Play as Gogeta (Goku and Vegeta fused): To play as Gogeta you must beat the game on hard 20 times. After that, Gogeta should become a playable character. Play as SS4 Goku in the American Version: At the title screen, press Triangle 5 times and Square 9 times. Play in Super Bebi's level: First beat the game with Gokou then after the credits at the title screen press triangle 5 times and X 9 times then you should get Gokou4. After that go to 2p mode and pick Gokou4 as 2p and pick whoever you want as 1p. Power Struggle: When your opponent does the fireball press triangle , circle, and square repeatedly fast. then right in the middle of your opponent's fireball you will do the fireball back and as you are doing the fireball, press square alot of times and you will hit your opponent or he will still hit you if you do not press fast enough. Self-Destruct: While playing as Vegeta or Majin Boo, press forward, back, down, up and the fireball button (default is triangle) to perform a self-destruct. This does massive damage to your opponent if it connects and takes away about half of your Ki power. Sound Test: To enable Sound Test, press L1, L2, R1, R2 then Start at the title screen. Down, Up, Right, Right, Right, Left, Right, Left, B. At main Menu, press Left, Right, Left, Right, Up, Up, Down, B. At main menu, press Left, Right, Left, Right, Down, Down, Up, B. At title screen press Left, Right, Left, Right, Up, Down, Down, B. Here's a sweet Dragonball Z: The Legacy of Goku cheat trick for you. To become invulnerable to enemy attacks, wait until a bad guy fires a Ki Blast at you. Just as you're about to get hit, press the R button to fly. The cheat will activate but you won't fly, your flight points will appear while you walk, and the enemies will stop attacking you. Now you can walk around and punch everyone's lights out. This only works on one map at a time though, if you change maps you have to redo it. Cheating against the Dragonball Z: The Legacy of Goku bosses is pretty easy cuz they all fight the exact same way. The stronger bosses just take more damage to defeat. Here's a walkthrough of how to beat all the bosses, from Raditz to Frieza. Don't try to punch them out, they'll clobber you. Use the Solar Flare attack to stun them. While they're stunned blast them with a KAMEHAMEHA or a Ki Blast. Use your flight to escape when they get close. Always pick up as many herbs as possible before the battle starts. When in doubt - RUN AWAY! As soon as they can't see you they'll stop and wait for you to come back. Defeating enemies in Dragonball Z: The Legacy of Goku earns you points. The more points you score, the stronger Goku gets. If you're stuck fighting some super-tough bad guys, back up to an area with weaker monsters and fight them until you get stronger. You can get so strong from practicing that it's like cheating! will stand there and let you blast them, if you're careful! To pull it off, inch forward until you can just barely see the enemy, then start blasting him with your Ki Blasts. After a while the enemy will collapse. If you're REALLY careful you can hit them with a KAMEHAMEHA. If you're at the edge of a map area in Dragonball Z: The Legacy of Goku and you're low on health points there's an easy cheat that'll heal you without wasting any herbs or nuts. Save your game, turn off your Game Boy Advance, turn your Game Boy back on and load your game. You'll be in the same map as before you saved but you'll have full health, and Ki. energy punch and trunks sword blast.It will damage a lot. cannot attack. Use Goku's Sprit Bomb. Flick the swicthes in this order to stop the fountains: top, right, left, top. TALK TO ANY DOG CONSTANTLY AND IT WILL FINALLY SAY "WOULD YOU RUB MY TUMMY"
door to ZZTV and you will see a different ending to the game. game. However, here's some useful information. levels on each character before advancing the story line. Trust me, its helpful. need the most (health, power). youre power on them, simply dodge their blows while you get close and keep punching them. give you a reasonable amount of experience points. and you will have invisible kamehameha's. untill all your energy goes down! and then press and hold b and there should be an invisile kamehameha! When you are collecting the Dragonballs, you will unlock an area called Snowy Highlands. will be a Tyrannosaurus. Defeat it, and it will drop a +3 Power Capsule. with Goku, but if you do not, Cooler will become angry and will deal more damage. data for the rest of the game. After collecting all twenty five Golden Capsules, see Dr. Briefs. He lets you keep one. outside. It will not work inside buildings or caves. Save and reset, then chose another player. Switch back and you should have full health. hard,dont giveup and you would be level 50 in no time.trust me itworks. the other. i guess it dose something. freeze them again! I got to level 45 in 30 minuets! object that is blocking attacks is thin, you can punch them. Go to Capsule Corp. and keep talking to Bulma's mom until she says you have 99 Cookies. hide behind the big rock where he cant get you. change to sayen and back afew times . Successfully complete the game to unlock Goku's trophy. barrier are ninja's that give a fair amount of exp. 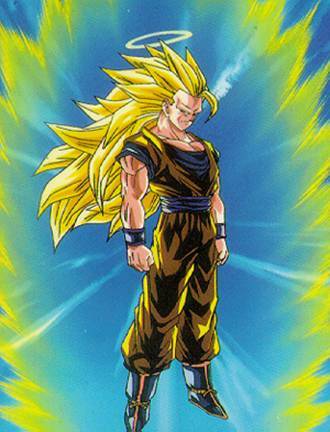 ascended form)and go train then with master roshi. map!! !For Piccolo,become super namek and fly on the world map!!! "Will you rub my tummy please?" instead of "Woof". fireballs at him until he gives up. WHEN YOU LEAVE THE AREA OR YOU ATTACK),THIS IS BECAUSE YOU "HAVE NOT STOPED PRESSING A"
and allow the attack to charge and each person does a different move. Tao. Once you defeat him, you will get your Dragonball. autograph you have for a "Shiny" thing he found in the grass which is a "Golden Capsule"
and a pond of water. punch and then as fast as you could hold down a. When doing a Fusion Dance, when it says "Your Turn" press: Up, B, Left, Down, A.